Harare - Who shall police the police? After a video showing a policeman assaulting a civilian in broad daylight has gone viral, the police addressed a press conference, claiming the images were fabricated. But vigilant citizens managed to expose the brazen lie, leaving the police with no options but to retract their earlier statement. The SkyNews footage has caused a worldwide uproar, with the president saying the accused will be dealt with for his callous acts. After claiming that it was a 2016 video, clear evidence came through from people appalled by the act. And below are some of the glaring oversight by the police. One of the cars in the video has a registration number plate which starts with AES. These are said to have only come into circulation in 2018. The man in civilian clothes is wearing a replica jersey of Chelsea Football Club which was used for the 2017-2018 season. Chiremba road was only resurfaced in 2018. Journalist John Sparks is also wearing exactly the same clothes like the ones he was wearing when he interviewed #Tajamuka Movement activist Promise Mkwananzi at a safe house. However, the police still maintain the police in the footage is a 'rouge' officer with a criminal record. 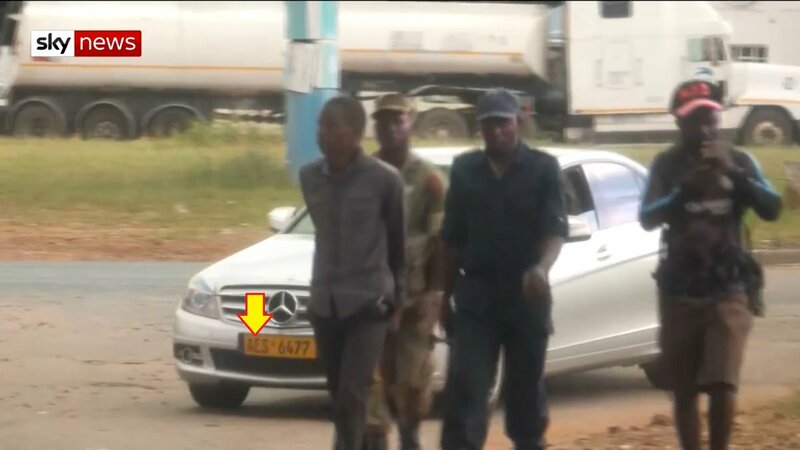 "Constable Makumire was suspended from performing active police duties in September 2018 and is on bail for contravening section 113 of the Criminal Law Codification and Reform Act. "The member was not on official duty during the time of the offence as he is on suspension. He has since been arrested and is assisting the police with investigations into the current case. "The security services have always been emphasizing that bogus and rogue elements are responsible for acts of lawlessness which are tarnishing the good standing of security services. "Earlier reports had indicated that the video was shot in 2016, however, upon further clarification from the investigating team it was established that the video was actually shot on Saturday 26 January 2019." During the August 1 shooting probing, senior security officers gave conflicting statement to the commission.